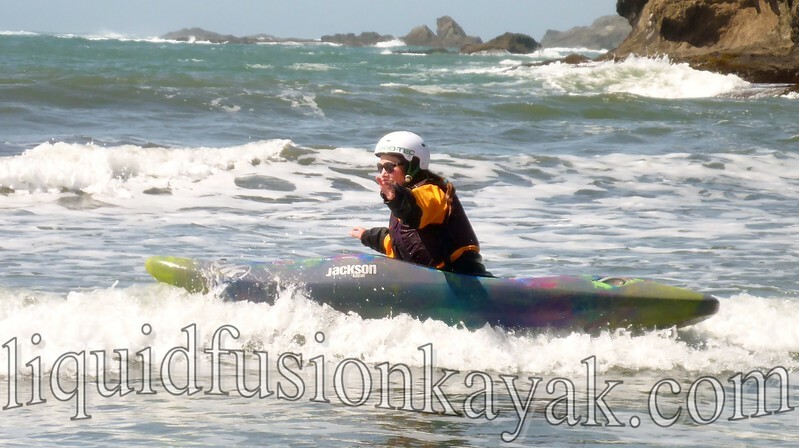 Last weekend, 6 paddlers joined us for a full immersion weekend of surf kayak skill building. 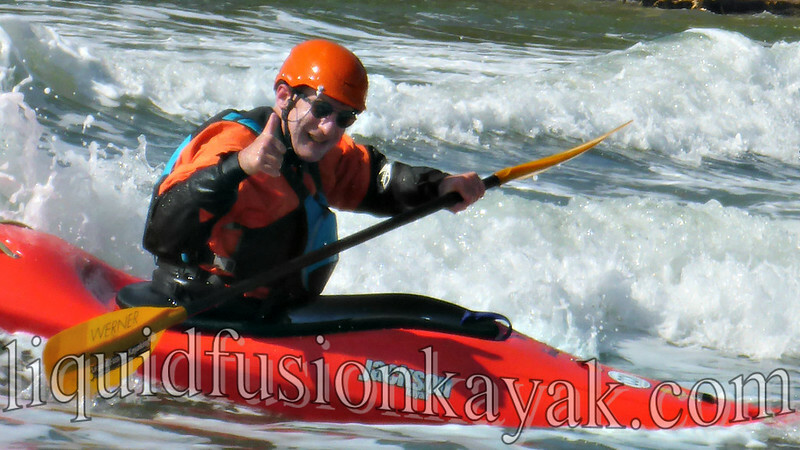 The idea was a basic whitewater kayak skill instruction specific to surf and rock gardens. We started the weekend in the comfort of the CV Starr Center Pool with roll instruction and roll tune-ups. After lunch we progressed to the beach. 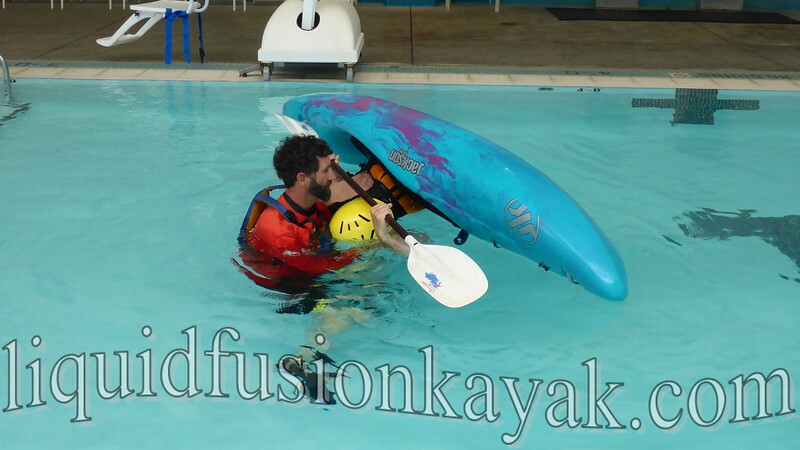 The goal of the Full Immersion Class was whitewater kayak skills and surf and rock garden instruction but a sizable swell nixed the plans for instruction in the rocks. One of our surf breaks was perfect for learning and we maximized our first afternoon of class coaching our students in the surf. 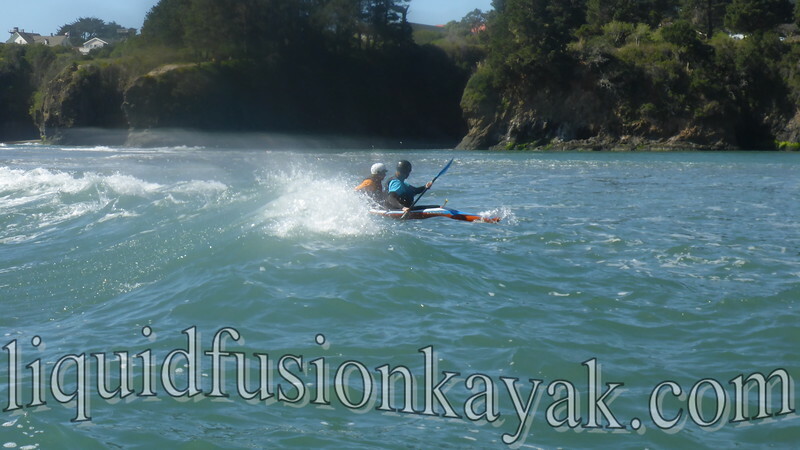 One of our favorite drills for all skills levels is having paddlers hand paddle in the soup zone (the area of the surf zone nearest the beach where waves have already broken and are mostly whitewater foam piles). This is fun and challenging and a great way to build balance and edge control in the soup zone. 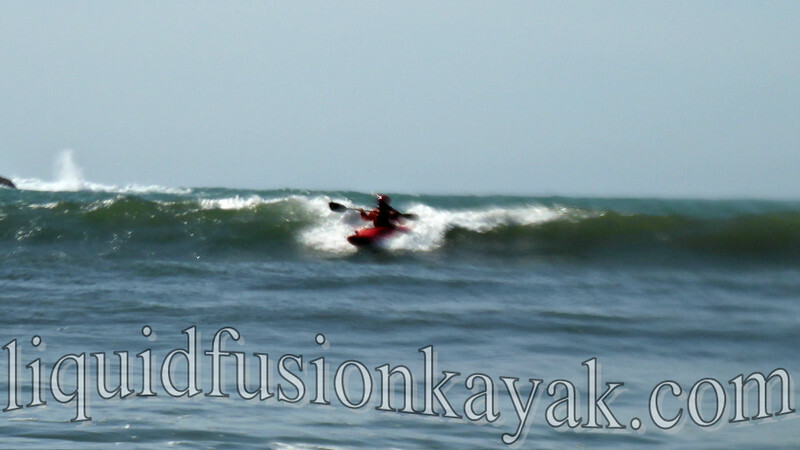 Hand paddling in the surf to build balance and edge control. Photo by Jeff Laxier. From there, we progressed to controlled landings. Some coaches call this following the wave in. It is one of the hardest skills to learn in the surf but with diligence and practice one of the most valuable. 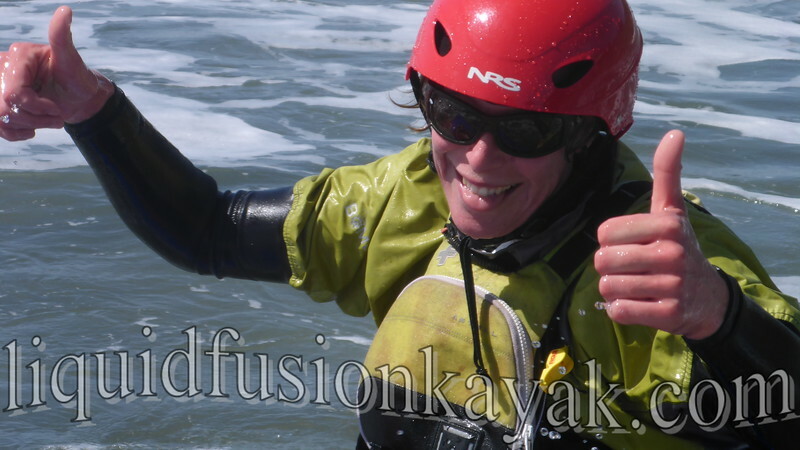 The idea is maintaining control by timing and positioning yourself so that you back paddle over the face of the wave and ride the foam pile in. It is definitely a dance with the sea. Of course, we finished the day with a little surf session emphasizing surf etiquette and a circuit. Day two began with scouting several locations and seeing first hand the effects of tide and swell. The substantial long period swell and negative tide made for some good examples of hazardous surf zones. 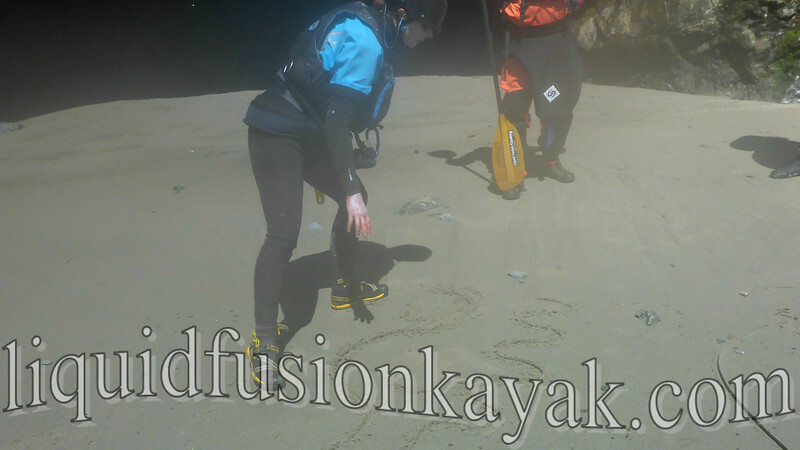 While we waited for the tide to fill in at our venue for the day, we followed up with the previous day's roll instruction, stroke work, and waveology. Gale force winds were forecasted but fortunately didn't show in the area that we had chosen to work. 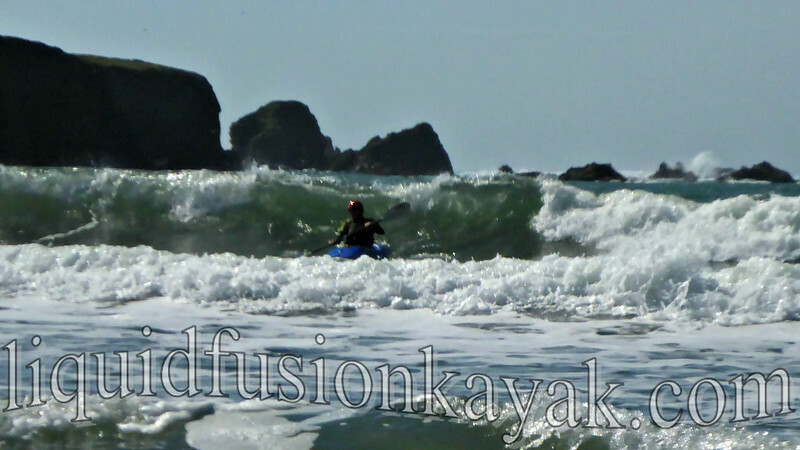 The surf at the break where we were working was monstrous, but we found an area on the inside to work. It was a fun weekend for all with lots of learning and skill building. We are looking at doing more full immersion courses that include rolling instruction. If you are interested, please let us know so we can keep you posted.